Moving trees, installing a pond, putting in pathways, arbors, hedges, or flowers, we can make sure each design comes out as unique as the individual it was designed for. 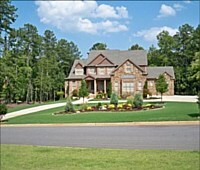 The best landscape is a landscape that is customized based on your specific needs and preferences. It should speak of your unique personality, of your unmistakable taste for beauty. A property’s outdoor area should be landscaped well, in such a way that it perfectly complements the beauty of the home or establishment, while at the same time giving onlookers a glimpse into your personality. And if you wish to have a custom landscaping job that will turn your outdoor space into a source of personal pride, allow us to work our magic in your landscape. Available area. The area where we are to place the custom landscaping elements like water features, hardscapes, and the like are surveyed. This allows us to approximate the exact placement of each landscaping element so they will be orderly and pleasing to the eyes. Existing structures and theme. We know that the landscaping efforts that we have to do should complement and be in total harmony with the current hardscape structures or the theme of the property. Hence, if the existing theme is Mediterranean, then we cannot create new structures that are classically-inspired, like Greek columns or Italian patios. Soil condition. We always check if the soil has the tendency to erode, or if it is sloped and unstable. 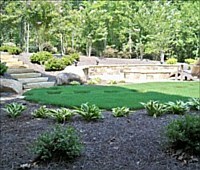 This way, we can ascertain if it would be safe to place a particular custom landscaping element to a specific area. Should the soil be very unstable, we build retaining walls to keep the soil safely contained in order to avoid posing risks to you and your family and guests. Client’s working budget. Of course, budget is always a major consideration. Hence, we make it a point to ask our clients at the onset of the project how much their working budget is. That way, we know what amenities could be added without going beyond our client’s budget allocation for the project. 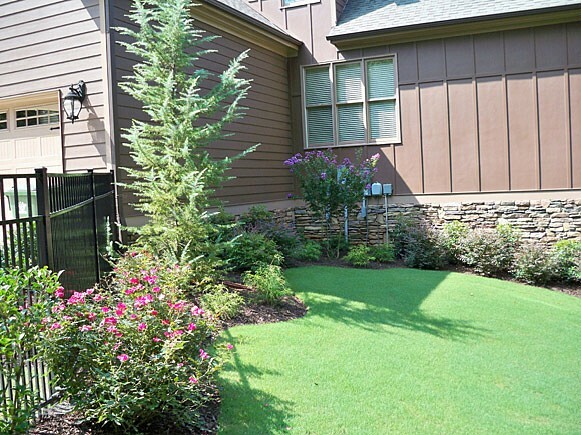 We offer various custom landscaping services for both residential and commercial properties. Our affordable, yet reliable services include tree and shrub planting, drainage construction, soil erosion prevention, turf and sodding installation and maintenance, construction of hardscapes (like retaining walls, patios, walkways, gazebos, and the like), and installation of waterscapes (such as ponds, waterfalls, streams, and many more). All these we do with your specific personal preferences in mind and high regard for professionalism and client satisfaction. 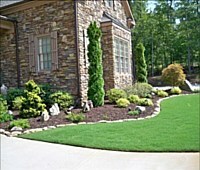 So for any customized landscape job, contact Four Seasons Landscape Management today.